Equality of access is the key value that determines the enrolment of children to our school. No child is refused admission for reasons of ethnicity, special educational needs, disability, language / accent, gender, religious / political beliefs and values, family or social circumstances. 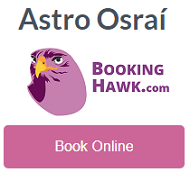 While recognising the right of parents to enrol their child in the school of their choice, the Board of Management of Gaelscoil Osraí is also responsible to respect the rights of the existing school community and in particular, the children already enrolled. This requires balanced judgements, which are guided by the principles of natural justice and acting in the best interest of all children. Assisting the school in such circumstances, the Board of Management reserves the right to determine the maximum number of children in each separate classroom in line with the Department of Education and Science maximum class average directives and in accordance with the level of resources provided by the Department of Education and Science to the Bord of Management. 4. Children are accepted in the infant classes, depending of sufficient accommodation. v Children of Current Staff members. v Brothers / Sisters of existing pupils or of those previously in the school. v Children from Irish speaking families. v Children of past pupils of the school. v Children in order of enrolment. v Children living close to the school. v Enrolment Priority is unaffected if deferment of place acceptance to the following school year is made before the end of June. v Those requesting deferment, after the end of the school year, will go on the waiting list from deferment date. 5. Children are accepted in classes other than infants if there is available space. Following an interview with the Principal and class teacher: emphasis will be placed on the child’s level of Irish. The child will be accepted if it is to the welfare of the school and the welfare of the child. 6. Children can be enrolled during the school year, if newly resident in the area or who wish to transfer from other schools, subject to the Rules governing National Schools, our own enrolment policy and local agreements with other schools. 7. 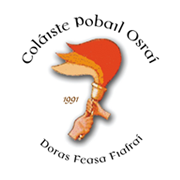 Parents seeking to enrol their child or children in Gaelscoil Osraí are requested to return a completed Enrolment Application Form (available in the office) with an original Birth / Adoption Certificate to the school. 8. The names of children for whom Enrolment Application forms and Birth / Adoption Certificates have been returned, will be placed on a waiting list. 9. There is an Annual Information Evening for prospective parents before the end of the school year. 10. New Junior Infants spend an informal period in the school to familiarise themselves with their new environment, towards the end of the school year. 11. Children with special needs will be supported in accordance with the level of resource provided by the Department of Education and Science to the Board of Management. 12. Children enrolled in our school are required to co-operate with and support the School’s policies. 13. This policy and others are produced under the Education act, Department of Education and Science rules for National Schools and are in keeping with the ethos of the school. 14. These policies may be added to and revised from time-to-time. 15. Parents who are dissatisfied with an enrolment decision, may appeal to the Board of Management. It must be addressed, in writing, to the Chairperson of the Board, stating the grounds for appeal, and lodged within 10 days of receiving refusal. Parents, if unhappy with the result of this appeal, may appeal to the Department of Education and Science under Section 29 of the Education Act on the official form provided by the Department. This appeal must be lodged within 42 days of receipt of the refusal from the school to enrol.